Complete Star Songs are up! 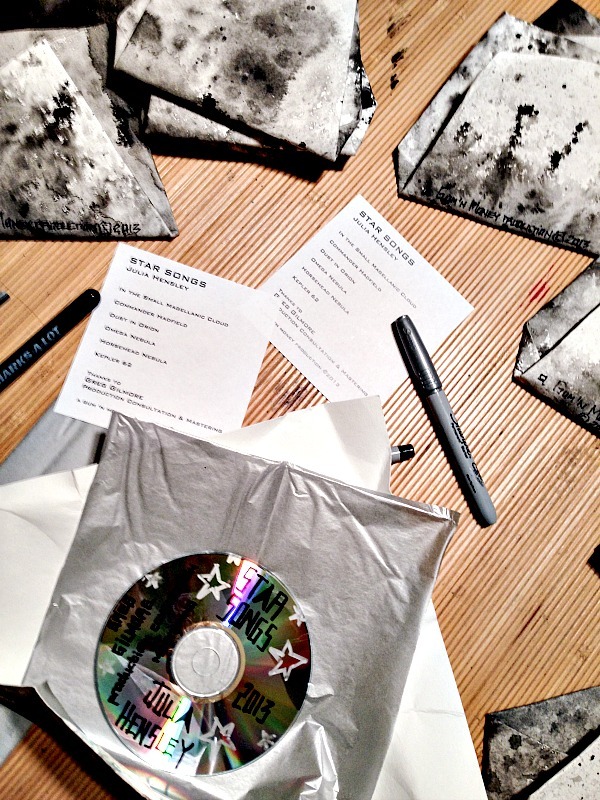 I made cd packages by hand to sell at my show. Although of course the cd quality is superior to an mp3, you can now hear the entire Star Songs album on SoundCloud. Mastered and with production support by Greg Gilmore.